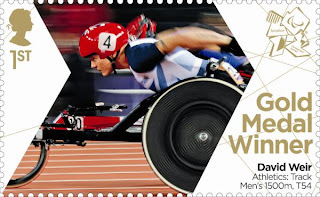 Assuming that one set of single stamps were kept in mint condition, I think the scarcity of Paralympic stamps used on cover can be explained by the fact that collectors would have only one 'spare' set to use from the miniature sheets, compared with five sets of spares from the Olympic Games Gold Medal winners miniature sheets. Several reports - one in the Philatelic press - suggest that demand and therefore printing of the Paralympic stamps was only 10% of that of the Olympic stamps. This may explain the quick exhaustion of Paralympic stamps nearing the deadline as printing levels would sensibly be kept much lower. 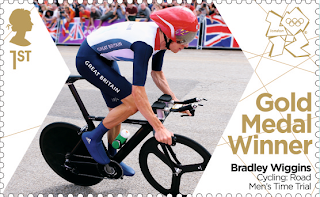 Also one suspects the printing presses stopped long before the deadline (even Edinburgh) - eg numerous post offices started running out of these issues (especially the Olympic set - again a tell tale sign of higher demand) from mid December and their stocks were not replenished. As ordinary collector demand will be equal for both sets to fill albums from SG listings this may also suggest that mid/long term the Paralympic set may become harder to source.